The win marked 7 straight NCA National Championship titles for CBU, an impressive feat that many college spirit squads only dream of accomplishing. CBU was ranked second heading into Finals but with a legacy as strong as their's, giving up just wasn't an option. 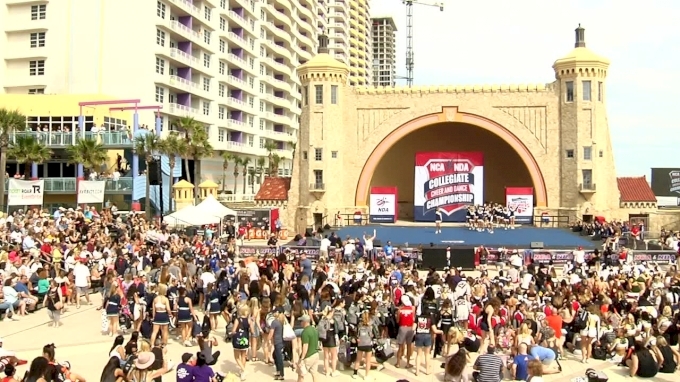 The Lancers brought a high-energy routine to the bandshell today that was packed with top-notch elite skills executed to perfection. Watch Daytona Dreams: California Baptist University to follow the Lancers through their journey at the 2018 NCA & NDA College National Championship.